Mad Fellows has announced that Aaero: Complete Edition will be coming to Nintendo Switch via the Nintendo eShop on December 24, 2018 priced at $14.99 / £10.99. Aaero: Complete Edition includes all of the content previously released as DLC on other platforms. It also boasts numerous improvements based on players’ feedback from the original versions. 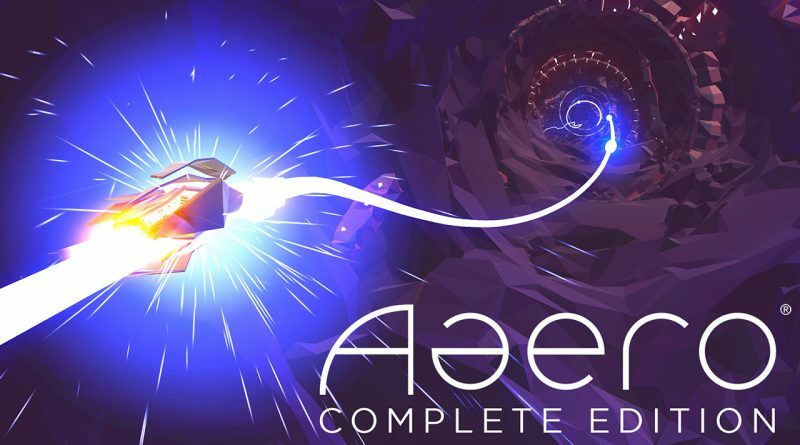 Originally released on Xbox One, PlayStation 4 and Steam on April 11, 2017, Aaero synergizes high-speed sci-fi shooting action with immersive music elements to deliver an amazing audio-visual experience. Speed through stunning, stylized environments as you trace ribbons of light, all the while releasing the energy in the game’s music. Encounter strange enemies, evade incoming obstacles, and overcome epic boss battles – all driven by an incredible licensed soundtrack from Noisia, Flux Pavilion, Katy B, The Prototypes, Neosignal and many more. Pilot your craft through dynamic environments, negotiating obstacles and battling enemies, all synced to a banging soundtrack. Licensed music from the superstars of the EDM genre including Noisia, Flux Pavilion, Katy B, Neosignal, Astronaut, Barely Alive and many more. Soar through 21 different levels, each painstakingly crafted to match the music. Encounter mammoth boss creatures and use strategic shooting and music energy to defeat these monstrosities. Ground-breaking technology that pulls freeform gameplay into perfect time with the music. The Complete Edition includes the 1000DaysWasted: Drum & Bass Pack, The Monstercat Pack as well as the Comet, Phaser and Sol player ship skins.